Authorities are investigating why a teenager went missing after leaving home wearing a McDonald’s uniform on March 14. 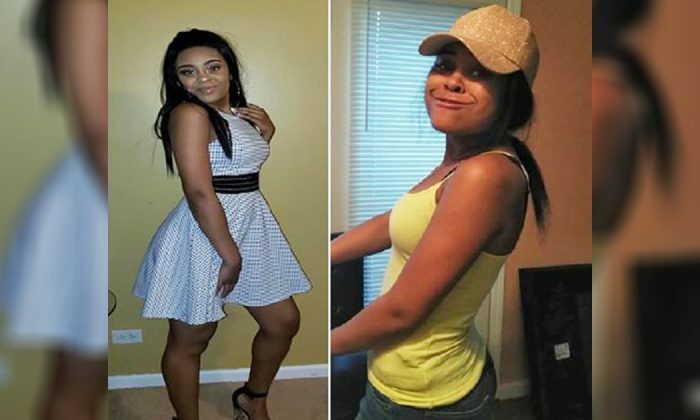 Police in McDonough, Georgia, are trying to trace the movements of Kayla McKnight, 16, who left home dressed for work. “She was last seen wearing her McDonald’s uniform, which was a gray polo shirt and black pants,” the McDonough Police Department said in a Facebook post dated March 22. Authorities do not know which direction she headed in after leaving her home. “Kayla McKnight (age 16) left her home in McDonough in an unknown direction,” police said. Anyone from the public with information about there whereabouts of McKnight is encouraged to contact Detective J. Cooper or phone Crime Stoppers on 404-577-8477. Police in McDonough, Georgia are asking for help to find a 16-year-old girl. Concerned members of the public expressed their sympathy on the Facebook post and tried to help find the teen. Robert Anderson hoped police would find McKnight in a safe condition and wished her well. Others imagined any parent’s child could go missing. “This is some mothers daughter or some fathers daughter! Horrible,” Diane Durham said. “Diane Durham good possibility,” added Chris Longest. Several others began praying for McKnight’s safe return. “Prayers for a safe return,” Linda Hand Wilson said. “Praying for her safety!” Vicki Faulkner added. The Facebook post has been shared more than 850 times. Meanwhile, McDonough Police Department has found and returned home China Penny who was reported missing on Feb. 9. Penny, 16, had left her McDonough home on Feb. 9 and was last seen in Riverdale, Georgia, wearing gray leggings, black UGG boots, white jacket, and a red colored bandana. Police confirmed the teen is already safely back at home. “China Penny has been located and returned home safely,” police said in a Facebook post dated Feb. 21. Concerned people were relieved to hear Penny was alright.